OMC! We hope all goes well. The mom is threatening a kitchen renno here...but nothing's been planned yet. 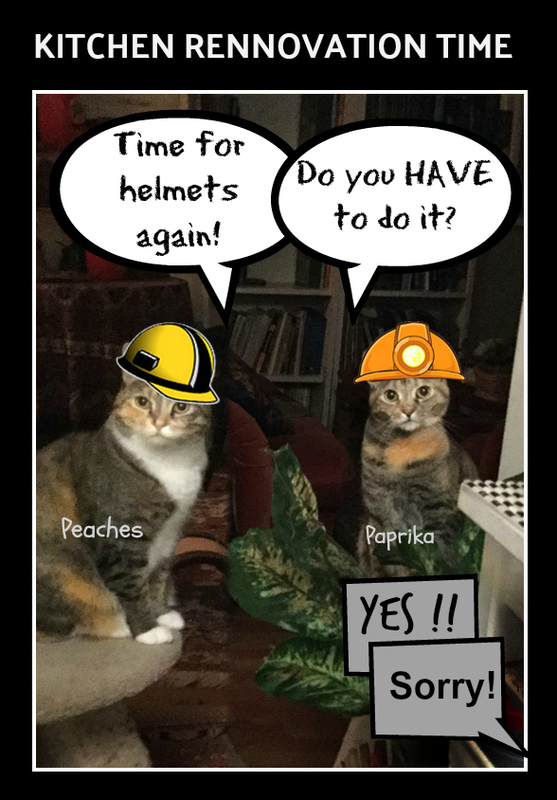 Love those hard hats. I had to go through one of those years ago. It goes quickly but the peeps will have to order Chinese and eat outta paper plates. Oh no! We both hate noise and dirt and dread anything like this in our home.